Two Soviet WW2 120mm mortars in 15mm or 1:100 scale. 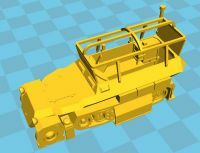 One Soviet WW2 45mm 1942 Anti-tank gun in 15mm or 1:100 scale. One Soviet WW2 57mm ZIS2 gun in 15mm or 1:100 scale. One Soviet WW2 76mm 1927 Infantry gun in 15mm or 1:100 scale. One Soviet WW2 76mm ZIS3 gun in 15mm or 1:100 scale. One Soviet WW2 BA-10 armoured car in 15mm or 1:100 scale. One Soviet WW2 BA-3 or BA-6 armoured car in 15mm or 1:100 scale. One Soviet WW2 BA64 armoured car in 15mm or 1:100 scale. 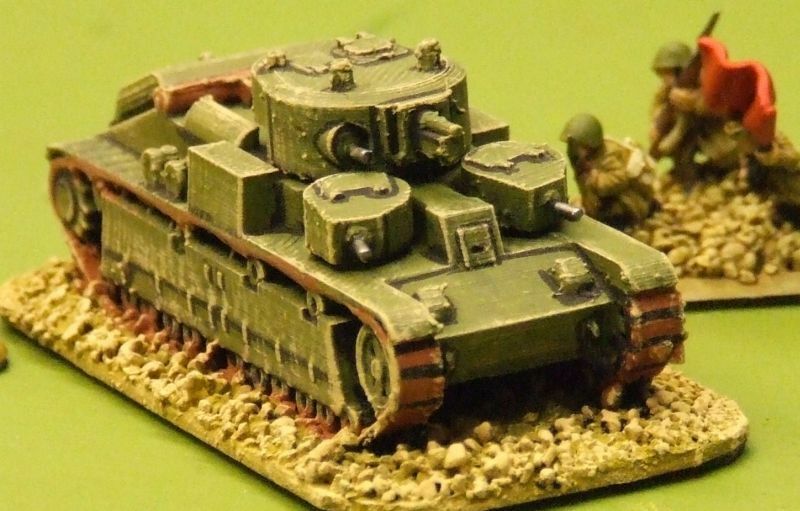 One British WW2 Churchill III tank in 15mm or 1:100 scale. One British WW2 Churchill IV tank in 15mm or 1:100 scale.